Insulated window are an important part of the home’s appearance and functionality. Wide and clear glass panes create a feeling of lightness and a bigger space. In a meantime, windows with broken panes affect the home’s energy efficiency and look in a bad way. To repair or replace insulated glass of the window you need salvaging panes and frames of a window without replacing it. This type of glass job for house window systems is relatively hard – you might have to order the service from a professional company – this is the best choice! You have to remember to repair any problems early before they evaluate and make the windows non-repairable. Doing it right in time allows you to fix a few small problems – not to replace everything. This is a fast, easy and not expensive option! But, if something more serious happened, the other option is looking for a re-installment option. aesthetics of the house became poor. Even major deteriorations can be repaired by professionals on an accessible financial level. To do it – contact a professional service at relatively cheap prices. For those living in Wisconsin or Illinois states – Argo organization is a good choice! We can do all it takes to repair or replace the insulated glass of the window system – again, it is pretty financially common. We do repair and replace insulated glass. The repair process is different from one situation to another. Sometimes it takes only the sealing of the glass bed, and sometimes – fixing of cracks right in the glass. And the replacement is the same every time – pretty bulk and hard process that requires taking out the previous frame and mounting a new one. 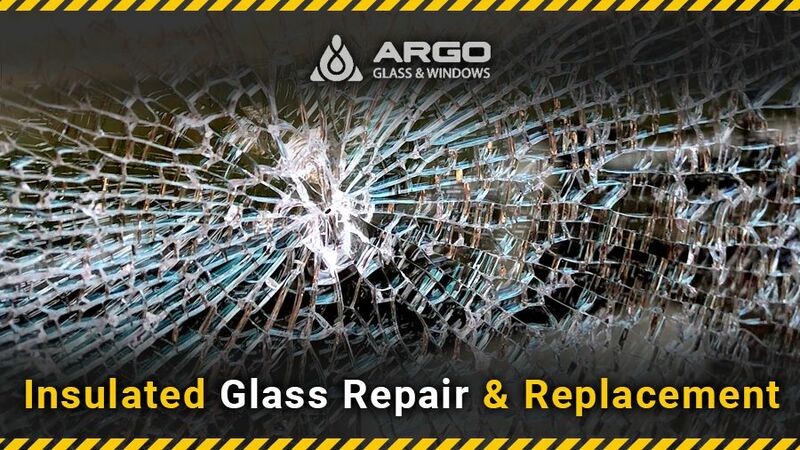 Argo company also offers a warranty. To solve a window insulated glass repair problems that do or do not require replacing of the units, contact a professional organization nearby. Warning: chasing the financial economy and doing it yourself without enough expertize, experience and tools, you risk making things worse. Failing, you can increase the cost of a final window insulated glass repair & replacement repair – or even make the parts non-repairable. Beforehand to estimate the cost of their restoration on a turn-key basis - it will definately be cheaper, faster and less truoublesome than installation of new windows. fixing and preventing problems with those units. For non-repairable windows – we mount new ones!